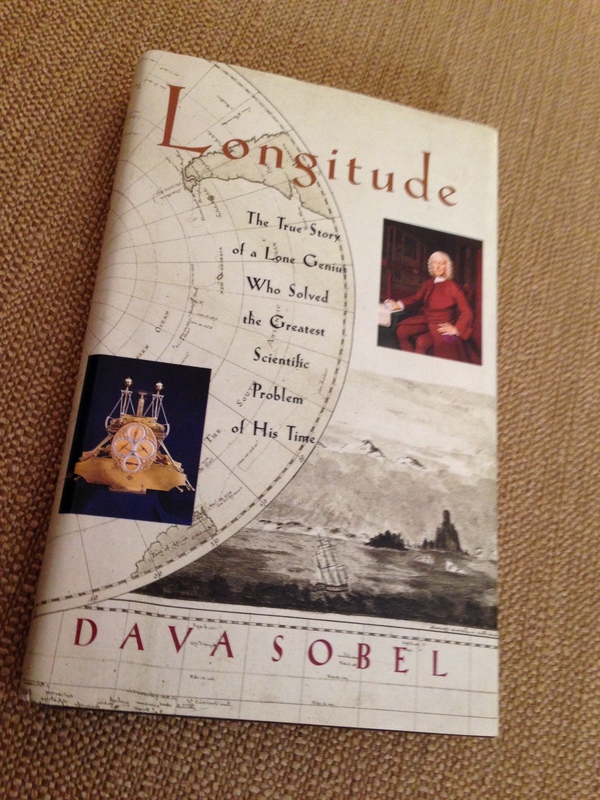 Book Review: Longitude by Dava Sobel – Howard Boat Works, Inc. Imagine what it was like to transit oceans hundred of years ago. No GPS, no radar, no Loran, no radio and no reliable charts were available. The fact was that after you lost sight of land, dead reckoning was all that was available to you, and the farther you travelled the less likely you really knew where you were. How maddening this must have been! To say nothing of how dangerous and life-threateing. True, mariners were for many years able to determine their latitude by measuring the sun’s or other heavenly body’s elevation above the horizon, but latitude is only half the story in determining a fix. Determining longitude requires precise knowledge of local time, as well as knowledge of the current time at some other fixed reference point. The ability to precisely measure the passage of time eluded the sea-going world until the 1700s. Sea-captains of the day, however proficient and sober they may have been, simply could not prevent themselves from crashing into rocks or getting hopelessly lost because they did not have the tools to prevent such catastrophe. At some point heads of state, shipping magnates, and the world at large had enough of this. And so it was that in 1714 the British Parliament created the Longitude Act that offered a huge sum (millions in today’s dollars) to whoever could figure out a way to determine longitude in a “Practicable and Useful” way. Longitude is subtitled: “The true story of the lone genius who solved the greatest scientific problem of his time” Surely, you think, this is ‘buy-my-book’ dramatization. Not so. Ms. Sobel tells us the story of how this bedeviling dilemma was solved by a man named John Harrison, and the story is so well told I read the book from cover to cover without putting it down. Harrison faced numerous challenges in his effort to build what would become the world’s first chronometer, and not all of them technical. There was a school of thought, prevalently held then, that the true way to determining longitude lay in mapping the heavens so precisely that a mariner would then be able to triangulate his position wherever he may be. Harrison, on the other hand, felt the best and most achievable way would result from precise measurement of time. The resulting 40+ year story of the see-saw battle to prove the best method is wonderfully told in this book. It is part technical treatise, part human drama, and exceedingly interesting throughout. Determination of longituude, in the context of this book, and centuries of celestial navigation, depended on having knowledge of time on board the vessel. Hence Harrison, etc. I read this 1995 book some years ago now, and commend it to readers. There was a TV series in 1998. A small irony of history is that the great navigator and solo voyager Sir Francis Chichester invented a procedure for determining longitude without chronometer time. I don’t know enough about celestial navigation to describe the method, nor to assess its practicality for working ship’s captains and navigating officers. By the time of Chichester’s publication chronometers and good watches were readily available, supplemented by radio time transmissions to enable these devices to be rated and monitored.